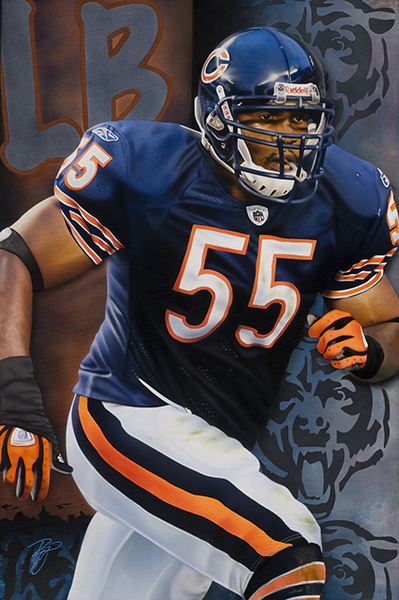 Bearing Down is an NFL painting of Chicago Bears linebacker, #55 Lance Briggs as he is chasing down a running back on the opposing team. 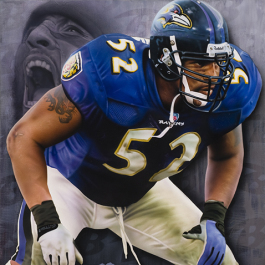 He looks like a bear in the woods chasing down his prey in the wild. 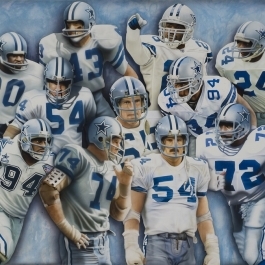 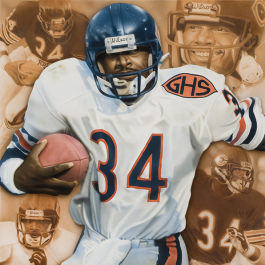 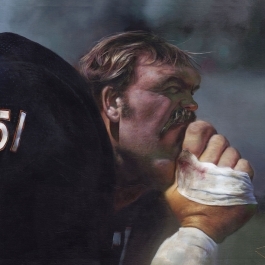 Fantasy football fans will love this NFL art that belongs in any man cave or as a sports art collector’s favorite piece of NFL memorabilia.